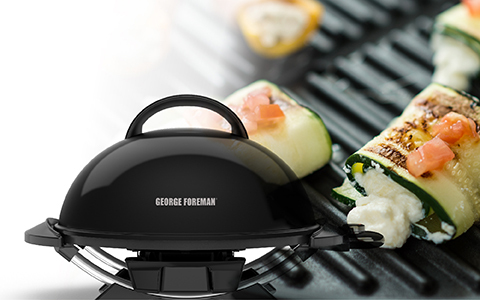 If you love entertaining family and friends, the George Foreman Indoor/Outdoor Grill is for you! 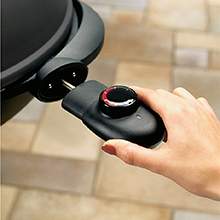 The grill easily converts from stand to tabletop, allowing you to grill indoors and out all year long. 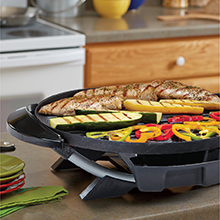 The large, non-stick grill plate allows you to cook up to 15 portions of meat, fish or vegetables in one go. 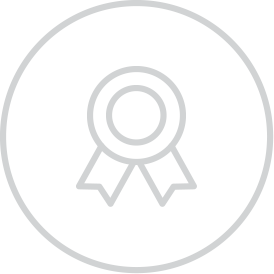 There’s no need to mess with charcoal or propane either; this grill is patio and apartment approved and guarantees no flare-ups. 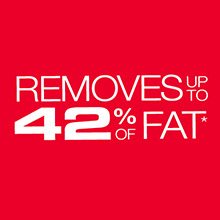 Add in the durable nonstick coating and the patented fat-removing slope, and you’ve got the power to create large, tasty portions of everyone’s favorites with simple cleanup, to boot. 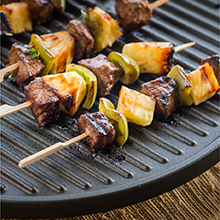 Rain or Shine, it’s grilling time! What—and where—will you grill? You care about your grill, right? 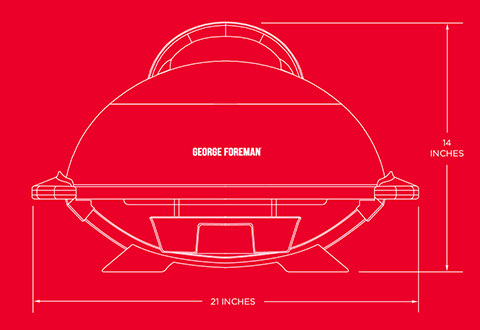 Show it some love with the George Foreman Indoor/Outdoor Round Grill Cover. 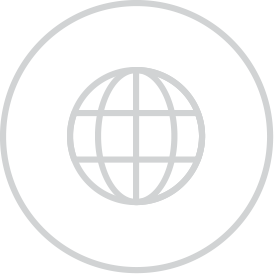 The durable material holds up through every season, providing water-resistant protection all year long.